I was visiting with one of our guests and she made a statement that set me to thinking. Her comment was, “It’s so peaceful and quiet at the camp – none of the strife and noise of the outside world.” While it’s a common concept that nature is peaceful and quiet (and it’s a great marketing ploy) as a wildlife biologist in charge of facts, I needed to bring some reality into this statement. Sooo……. I’m going to start a little series over the next week or two comparing our Bison Quest camp here at Wild Echo, with the big cities that many of our guests live in. Let’s just see if, indeed, Wild Echo Bison Reserve really is a place of quiet with a peaceful population who all get along. And we’re going to start with something that all of you in the big cities know as….. turf wars! You say you have drive by shootings and gangs arguing over who can control what part of town. Well – here at camp we have some bird feeders and right now the feeder full of thistle seeds is getting downright dangerous. 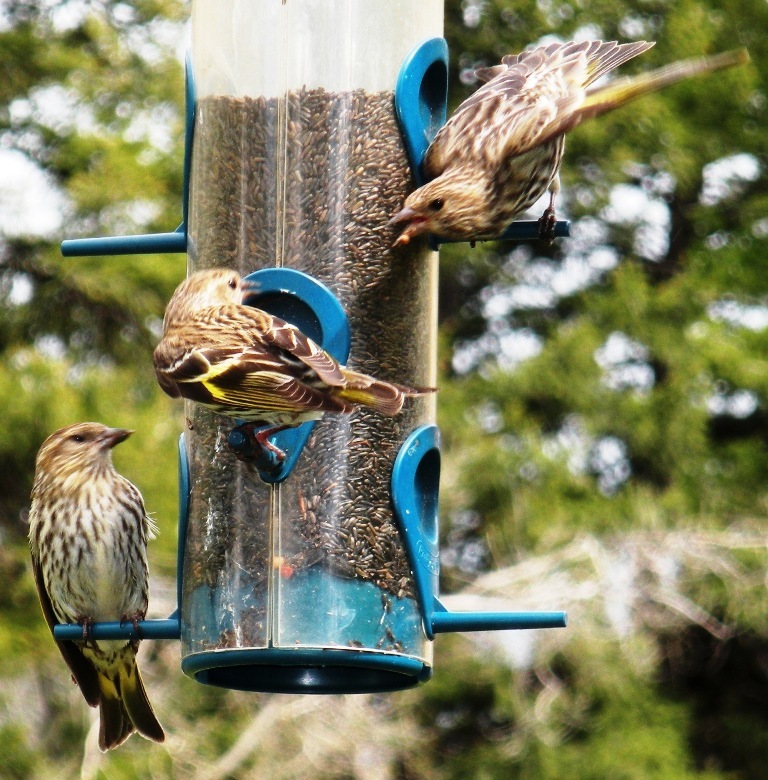 Today, we’re featuring the Pine Siskin gang. 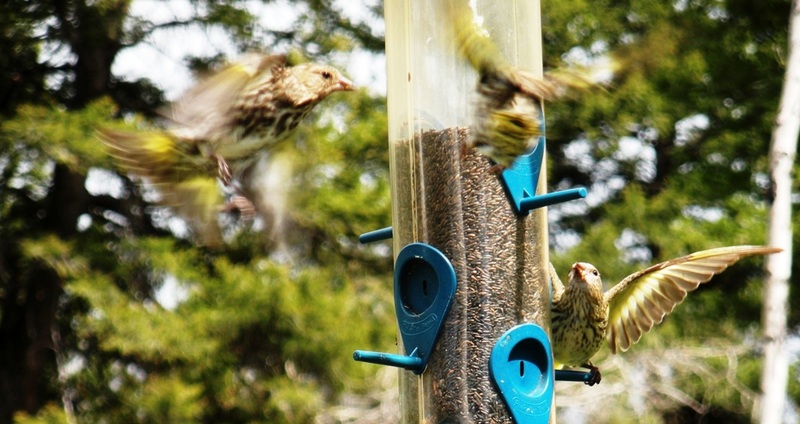 Like any self respecting gang, the Siskin gang is experiencing dissension within the ranks – which leads to aerial confusion as the gang members jockey for position. There's one in every crowd - the Peacenik - who gets along with everyone. One of our favorite “jobs” as wildlife biologists living on such a fascinating ranch as Wild Echo, is that of sharing it with others – especially those who have never seen bison before. And there are few guests as enthusiastic and excited as students! Couple that with having this be their first visit to the United States, let alone Montana, and it’s a recipe for a fantastic time. 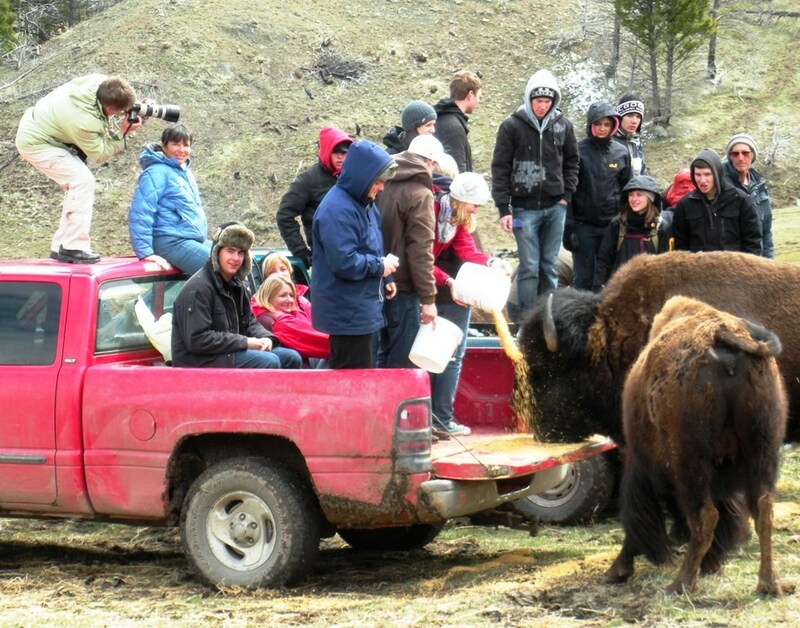 We thoroughly enjoyed the Austrian high school students who converged on us for their first introduction to Montana’s wildlands and those big, shaggy creatures we call bison. And Craig and I are looking forward to a visit to Austria one of these days! 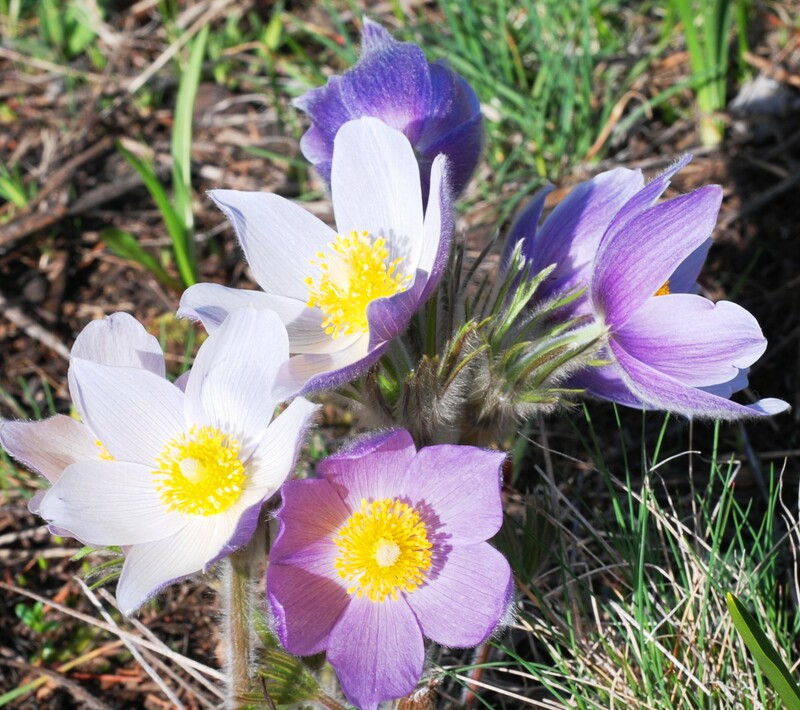 Spring comes late to Montana’s high country – and this year it’s later than usual. After a winter of almost 9 feet of snow, we’ve been anxiously waiting for it to melt. 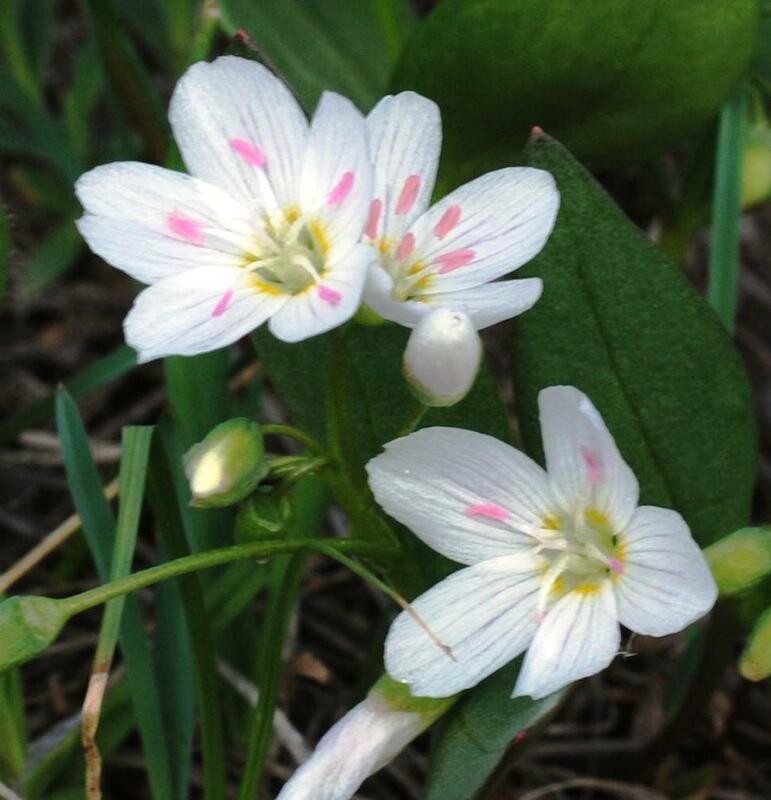 Well, it’s not all gone, but the wildflowers are no longer waiting for winter’s final defeat – they’re coming anyway. Every week there are new waves of color as one type of flower is joined by another……….. and then another. The buttercups are among the first, reaching their peak last week as the spring beauties began popping up amongst them. 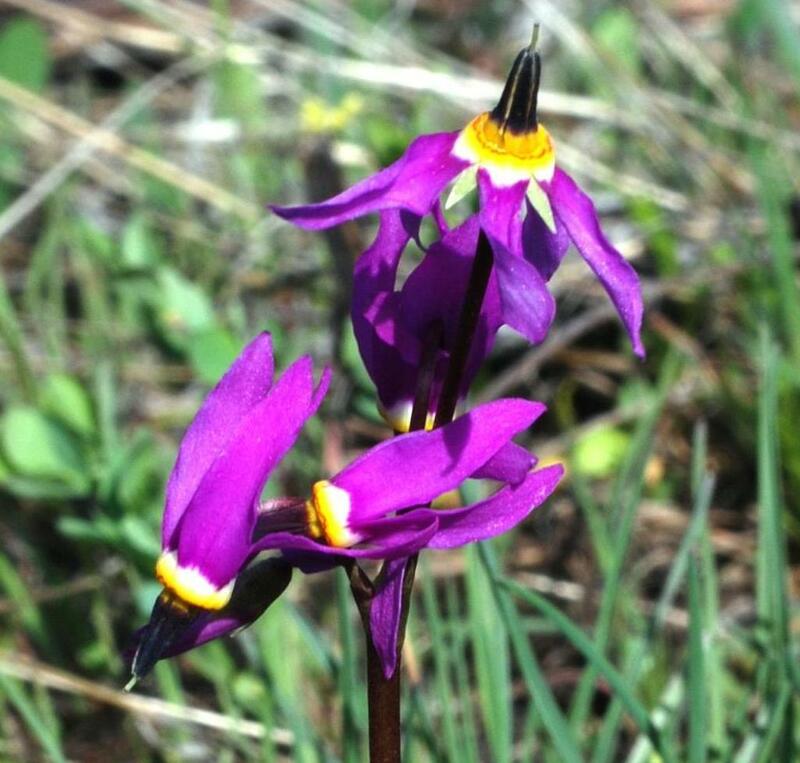 This week, the buttercups are in decline, but the shooting stars are dotting the new grass with their brilliant magenta petals, while spring beauties form such a mat that one crushes the delicate things at each step. The yellow bells and glacier lilies are now replacing the yellow of the buttercups, interrupted here and there by the purple pasque flowers, just starting to open their soft, fuzzy heads. And we still have the lupine and Indian paintbrush, sticky geraniums and violets, wild roses, delphiniums, beebalm and hollyhocks, and many, many more to come. I LOVE spring! We have a number of laying hens that wander our yard, but there is one that stands out. 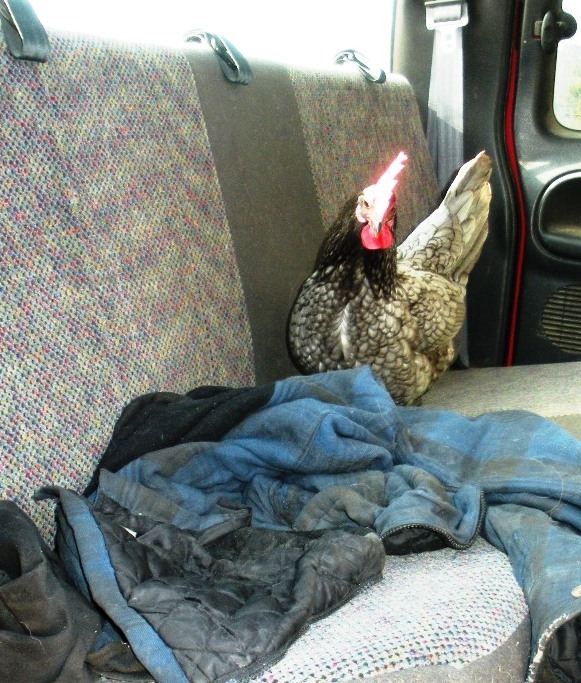 Let us introduce you to TDC (Truck Driving Chicken). She garnered this name at her silly insistence of getting in our old ranch truck at every opportunity. You pull up into the driveway after a day in town and, running down the road as fast as she can to greet you is…. Truck Driving Chicken! 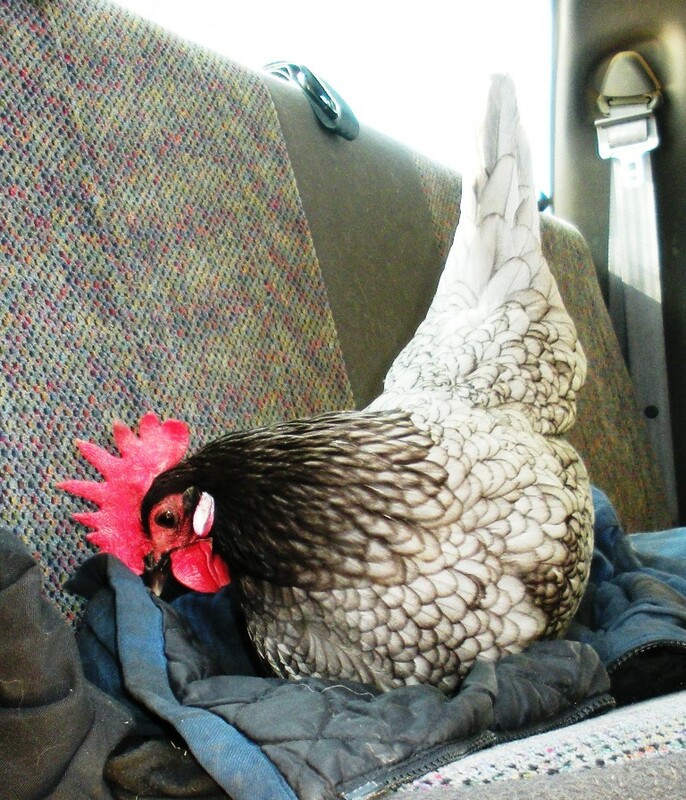 You park the truck and look out the window, and find you’re being circled by a wild eyed little grey hen…. Truck Driving Chicken! 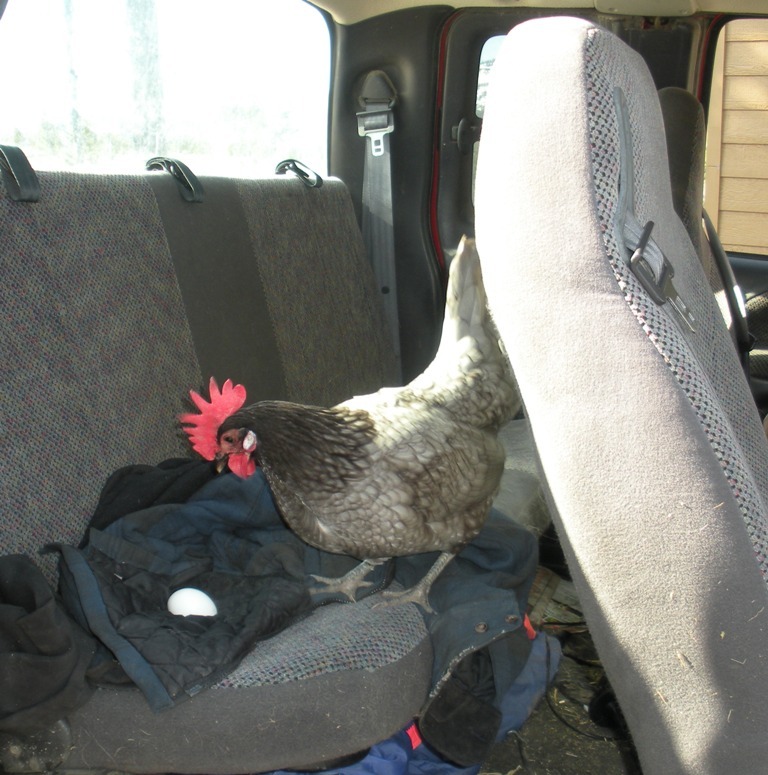 You open the truck door and immediately there is a flurry of wings and, landing on the seat of the truck you are joined by…. Truck Driving Chicken! 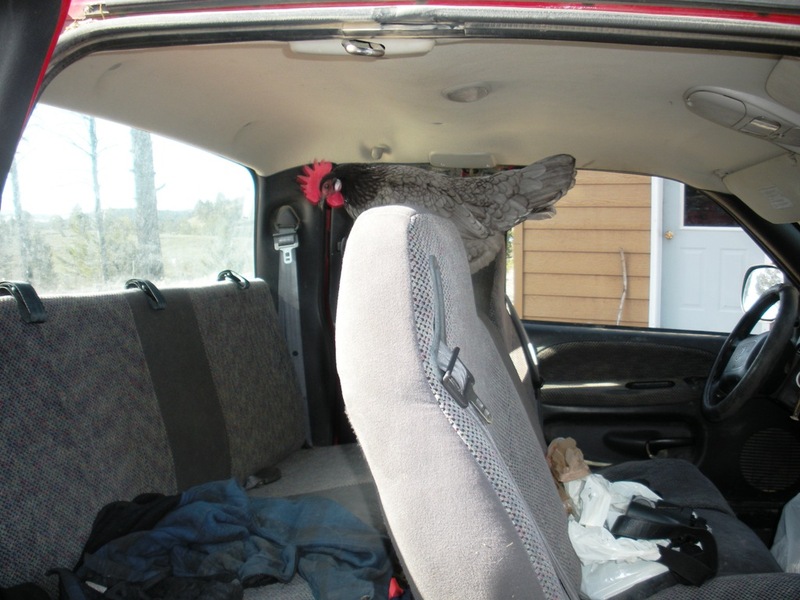 Or don’t open the door and there’s still a flurry of wings and, on your truck window is…….Truck Driving Chicken! We have no idea how the love affair started, but there you are – TDC LOVES the truck. And, if you leave her alone long enough, she says “thanks” as only a chicken can. My, my, would you look at that! I just returned from a week in southwestern North Dakota conducting sharp-tailed grouse surveys and got to view the 20/20 clip on game farming. The title of ABC’s 20/20 show is “WHAT THEY DON’T TELL YOU”. Ironic, indeed, since there is a lot that ABC didn’t tell you. 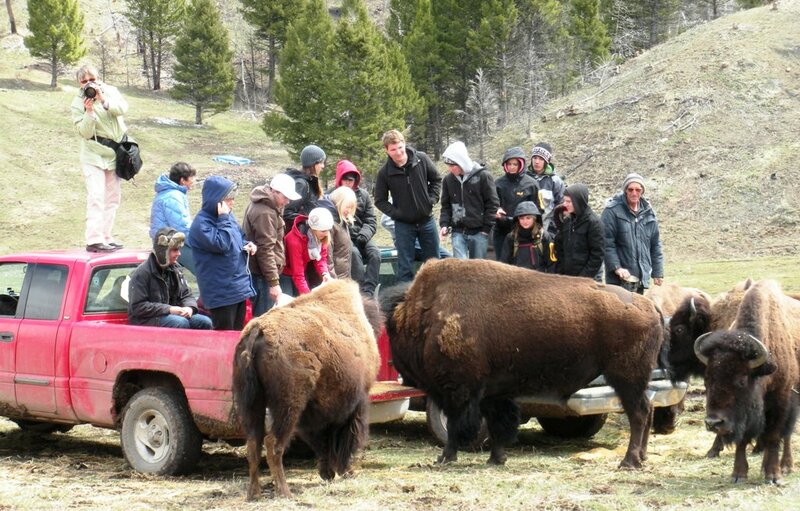 They identified us as bison ranchers, when in fact we are really wildlife biologists. We keep a small herd of bison to use in helping guests connect with wild animals and the natural world via Bison Quest. What they didn’t mention is that Pam and I have graduate degrees in wildlife biology and zoology, and that we have earned our living for over 30 years working with wildlife (including endangered species) both in, and out of, the US. They promoted the idea that raising bison was economically viable despite our telling them the sale of bison meat barely covers the cost of hay and other operating expenses. They never mentioned that they interviewed Pam and I for over an hour (and spent most of the day with us), during which time we outlined the problems with game farming – they are many. This interview was reduced down to part of one sentence where Pam was talking about comments made by some 19th century naturalists and fur trappers as they watched the great bison slaughter unfold. I even told them that, under contract with Montana Fish Wildlife and Parks, I visited about 30 game farms in Montana and wrote the biological sections on Environmental Assessments for these game farms. As such, I am something of an authority on game farming. I explained that raising elk in game farms in Montana did not stop the poaching of deer and elk for antlers and trophies, and that the biggest impact on the antler trade was Viagra. However, on this film, there was not one word from me on game farming. Instead they present an economist as an authority on wildlife and game farming. During our interview, I explained that holding wild animals in captivity for multiple generations results in domestication. Two obvious cases of this are domestic cattle and sheep, whose wild ancestors are now extinct. And this is a real wildlife success story? I also find it ironic that they use, as their example of “success” stories, a series of animals in cages so small and dismal, that there’s no wonder the animals go insane. Do they think that a pacing mink (with non-wild fur color) in a 2- foot by 2-foot cage is a great solution? Or, how about that tiger laying on a concrete floor of a small cage with a bunch of cubs. Is this what we want to hold up as a way to “save” wildlife? We also pointed out that any program discussing game farming must include discussion of bear bile farms in China, and the horrific conditions these bears are subjected to, along with the associated ethics. But Stossel made no mention of any of these things. Now you know what they didn’t tell you. I just finished watching our bison clip on 20/20 . While the part about us was harmless, John Stossel’s statements on farming endangered species was poorly researched and an example of sensational journalism rather than investigative. I wasn’t surprised by Stossel’s piece on endangered species, but I still had held out a little hope that he would be more interested in facts and less interested in being a shock jock. He wasn’t. We certainly gave him all of the info (see our blog on farming endangered species), but he made no attempt to address any of the real issues. And the comment, “farming saved the bison” is hogwash. We outlined the history of the bison in our interviews and made it clear that that statement was historically false but he chose to ignore fact and stick to fiction. Still, we do learn something new everytime we get the tv media here. We’ve had a diverse variety of film crews now and we have sure learned a lot about them. And Woolly Bully has become such a star, that he has demanded a raise in his treat rations from the next film crew! I drove down to camp yesterday – it was the first time in several weeks that the meadow was dry enough that I could actually drive the truck all the way to camp instead of having to hike over the water soaked meadow. I left the gate open because I could see the bison herd a quarter mile away, far up on the mountain side, and figured I didn’t need to be concerned about my shaggy friends paying a surprise visit (there’s a reason we keep them fenced out of Bison Quest camp)! 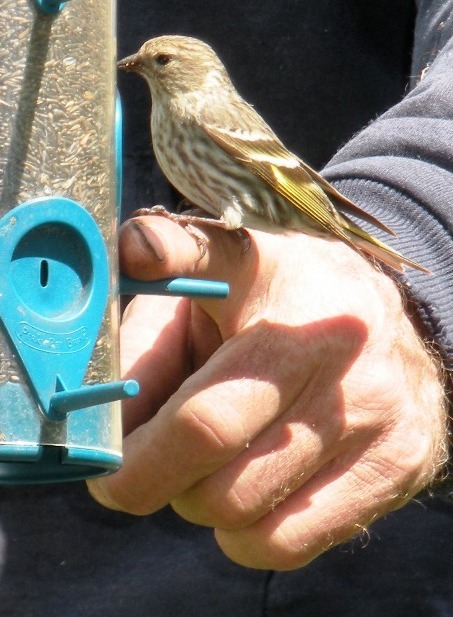 I wandered around filling up bird feeders with sunflower and thistle seeds when I heard a gentle grunt – and then another. I know that sound! I raced for the gate without even looking to see where the sound was coming from – first item is to get that gate closed! As I reached the gate, I could see the bison cow who was making the “mama grunts” (the kind of grunts mama bison make to their babies – someday I’ll tell you all about that). It was Gracie and GG (Gracie’s Girl – her daughter) walking past the camp fence. Gracie was still swollen with her unborn calf but, at her daughter GG’s side, toddled an unsteady, not-quite-dry newborn calf. Grandma Gracie and her daughter stopped to look at me as I reached the gate, and the little baby peeked out from behind his mom’s legs. I congratulated GG on her newborn, but both cows were singularly unimpressed with my salutations and, after assuring themselves that I didn’t have anything worthwhile to offer (that would translate into, “she doesn’t have any treats for us”), they both continued on their way past camp with the little one, wobbly but determined, at their heels. I watched them go and then let my eyes wander up the mountain. And up, and up – up to where I knew the herd was grazing. All I could do was shake my head in amazement at this brand new little mite taking such a trek in the first hour or two of life. 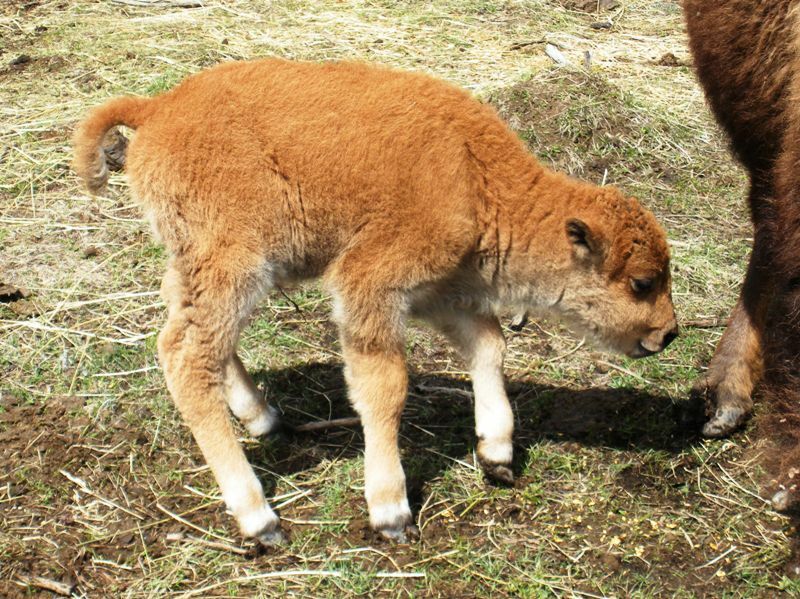 Those baby bison are tough little critters!